Historically, marketing has always involved statistics and facts, but there have been a larger range of how much statistics and numbers are used, and how data drives the marketing strategy. But in an age where personalization becomes key, and data is plentiful, the most successful marketers will be able to efficiently view and interpret data and create plans to meet the demanding needs of niche clients, and measure their impact and progress. Below are the top ten rules for doing so. 1. Know your solution and why you are delivering it, why there is an opportunity. The science is to be able to explain the solution in a detailed manner, and speak about the ROI and potential market size using charts and numbers. The art is explaining it verbally, graphically, and contextually in a way where management, partners and customers would buy into it. 2. Know your audience and why your solution is relevant for each niche audience. Set up a matrix and map out your target audiences, quantifying numbers, passion, costs, etc., Based on the matrix, and the input of key stakeholders, establish a strategy for delivering a solution to initial and secondary audiences. Go back to the numbers to evaluate your progress and re-assess your strategy based on your performance. 3. Request feedback and input from all stakeholders to supplement information provided by reports. The numbers and the reports will give you a view of your business, its offerings and impact, as will the interviews with customers and other stakeholders. However, the art of it is to figure out what the numbers and people are telling you and what to do about it. 4. Know what to measure and what each measurement means. Measurements and reports and numbers are great, but they won’t dictate whether your company will succeed. Deciding what to measure, what the measurements mean and what to do about it will more closely map to your company’s success. 5. Integrate the data and feedback to constantly improve your offerings. Constantly consider the data and verbal feedback as you community, connect, and build your business. 6. Categorize your types of feedback to help prioritize features. Notice patterns of feedback from multiple sources: charts, focus groups, phone calls, management meetings, etc. Decide what these patterns mean, and how you can revise communications and strategy so address the feedback and suggestions given. Are there opportunities in the feedback? 7. Address the needs of your most active niche clients and strive to deliver exceptional, customized service to them. Weight your feedback based on who is most engaged with your business. Strategize on how to find and engage people and companies with profiles similar to your best customers and referrers. 8. It takes someone disciplined and thorough to oversee the science of marketing. 9. It takes an experienced and creative marketing leader to connect the dots, think outside the box, and see the opportunities presented by the data. 10. Integrating the art-side and the science-side of marketing will be the cornerstone of all marketing plans. The bottom line is that leaders need to oversee the science and data side as well as the art, creative and innovative side of marketing to ensure the ongoing success of an organization. It might be easier to find someone skilled at managing the data side, but more difficult to find someone who can do the creative side, and also know how to integrate the available science and numbers to deliver customized solutions that serve customers, and build forward momentum for the company. 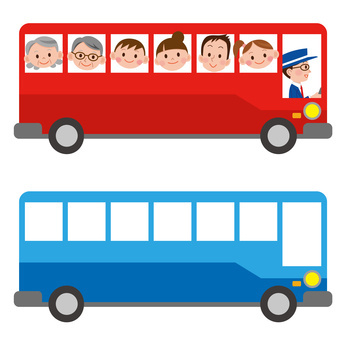 Posted in Leadership | Comments Off on Who’s on the Bus? FountainBlue’s January 18 When She Speaks, Women in Leadership Series event was on the topic of Expanding Your Circle of Influence, With or Without Direct Authority. Below are notes from the conversation. We were fortunate to have a wide range of perspectives on our panel, and that our panelists shared their insights, suggestions and advice with poignant humor and candor. Their comments and suggestions ranged from social media to global teams to business development and conversations at the table, but their insights and suggestions reflected what exceptional leaders they are. All of our panelists have been immersed in the technology sector for at least a decade, and they have learned how to gain influence with tech-savvy engineers, and make an impact in tech-driven corporate cultures. Whether they were technologists who transitioned to business operations and management, or marketing and business professionals who worked within and across tech companies to facilitate connections and create momentum, our panelists are people who have been-there, done-that, seen and addressed the problems and opportunities inherent in being women in corporate tech cultures, and creating and leveraging the influence needed to connect with people, and to achieve forward momentum, delivering results on designated goals. Below are some thoughts and advice they shared about leveraging influence. To command influence, you must have a solid foundation – Be self-aware enough to know who you are, what you stand for, where your skills are, where your passion lies, and how you are coming across. Self-reflection, mentors, and a personal board of developers can help you embrace who you are, and effectively communicate that in person and in writing, and in social media channels. Everyone has influence whether they are consciously or unconsciously trying to influence others. But those who are confident in who they are and how they are communicating will have more influence and more likely be a positive influence than those who don’t. Know your strengths and your weaknesses. Leverage your strengths to your best advantage. Shore up your weaknesses by engaging people better and smarter than you are, and leveraging resources and support. Stand by your principles and values. Know where you can’t compromise. Passion is a great leadership quality, but over-emoting is not. Be self-aware enough to know the difference, and manage toward the passion end of the spectrum, bringing energy into a project, rather than letting emotions fog your judgment, and speak words and/or conduct actions counter-productive to your cause. Enlisting the right people to support your personal and professional development to help ensure both your success and theirs. Mentoring and supporting the growth of others will pay back in dividends, for yourself, your team and your organization. Invest in yourself – find the right way to replenish your energy, strength and focus, and the right people to support you in your personal and professional growth. Once you know who you are, what your value is, and what you stand for, it’s a matter of being strategic about what you want to do about it. Purposefully choose where you’d like to have influence: at work/home, within a particular company or industry, within a particular role, across different roles, at different levels of an organization. Be open to reviewing your choices and making changes as you get more data – know when you need to leave your role or company or project, for example. When addressing a conversation, project, or challenge, set your intentions first, and plan for the right people and groups to engage with you to meet common objectives. Leverage your influence to achieve a specific goal, and strategically enlist the right people and network to collaborate in achieving that goal. Adopt a ‘what’s in it for them’ perspective when considering who can assist you in achieving the goal, and engage them in the project speaking their language, and motivating them based on their stated needs. Strategically engaging the right senior executive(s) or the right person for a project will help ensure its success. When you’re working with people, teams and organizations in conflict, take the time to understand the perspectives of all, open up the communication channels, and find that middle ground where you can work transparently on shared intentions which meet corporate goals. The adage is true that you must have the courage to change things you can change, the serenity to accept the things that you can’t change, and the wisdom to know the difference. Next, communicating crisply and on-message to targeted audiences is important, whether you’re in the boardroom or the bathroom, whether you’re in person or online, regardless of your role, level, experience, gender, culture. Know and speak your story – what brought you to where you are today, what you’d like to do for tomorrow, who can help you make it happen, and how you hope that things will unfold. Engaging key stakeholders and regularly communicating measurable forward progress will help advance a project and expand your personal influence and that of the team/people/project. Speak with a positive message rather than a must-do/company-mandate/or-else place of fear. Extend an invitation to participate and empower people who participate to both connect with others and succeed as a group. Influential communicators often serve as translators between groups, to enlist and engage both parties to work together towards common goals. Nobody has all the answers, but those with influence will continue to learn and grow and expand their knowledge, their network, and their comfort zone. Genuinely care about others and build relationships based on trust. This is not easy in today’s world, when most of us work with people we may not have worked with before, people who work remotely, people who are not the same as we are. But it’s worth taking the time to build relationships at all levels, and asking about motivations and interests outside work, including vacation interests, will help ensure that everyone is on the same page. Having a contrarian and someone-who-doesn’t-think-like-you are both useful people to have in your inner circle, as they invite you to embrace the other perspective, and to stretch and grow. As managers and leaders who successfully help clients and teams to embrace change, and feel more comfortable with change will gather more credit and influence. But complacency is rampant, and it’s no easy task to inspire and engage key stakeholders to embrace change, and to enlist their support in shifting a team, product line, organization, etc. And ensuring that everyone’s influence expands following a successful project will help you manage future projects towards success. Facilitating change involves understanding the conditions where change will be embraced, and creating those conditions so that the team can succeed. Often, this means that you need to manage individuals and teams beyond their comfort zone, and ensuring that people who engage in the process learn and grow while succeeding and achieving results. Successfully engaging people and teams across roles, platforms and initiatives will help them understand the motivations of others, work toward a common goal, and be more open to collaborating with others for future projects. An added benefit is that exposure to the thinking and perspective of people-not-like-them will help people, teams, projects and companies be more open to different, novel and diverse ideas which would have business and personal benefits. Stand behind your team. Don’t throw them under the bus when things don’t go well, but do communicate what you learn at every juncture and ensure that your team has the support they need to learn and succeed. With that said, know when you need to switch out team members and even entire teams. If you must do this, do it with transparent communication and support them as people. Be open to leveraging social media to communicate and expand your influence, but take the time to know the tools, the audience, and the intent of your communication. LinkedIn might be for more professional networks and connections, and FaceBook might be more for your friends, with the content being what you might say to them at a backyard BBQ. Follow the corporate social media policies, but remember that you are people first, employees second. Our conclusion from this conversation is that the most influential people are authentic, genuine and human. They are transparent in their communications, committed to the motivations of others, and although strategic about being connected to influential others, they are not ‘one of those people’ who do it to be self-serving. They are people you can trust, and who will grow and expand who they are, and ensure that those around them will grow alongside them. We hope that the conversation and the notes will have you thinking about your circle of influence, and working to expand your influence, for the benefit of all. For more information about the series, and for a link to our next event, visit http://www.whenshespeaks.com.